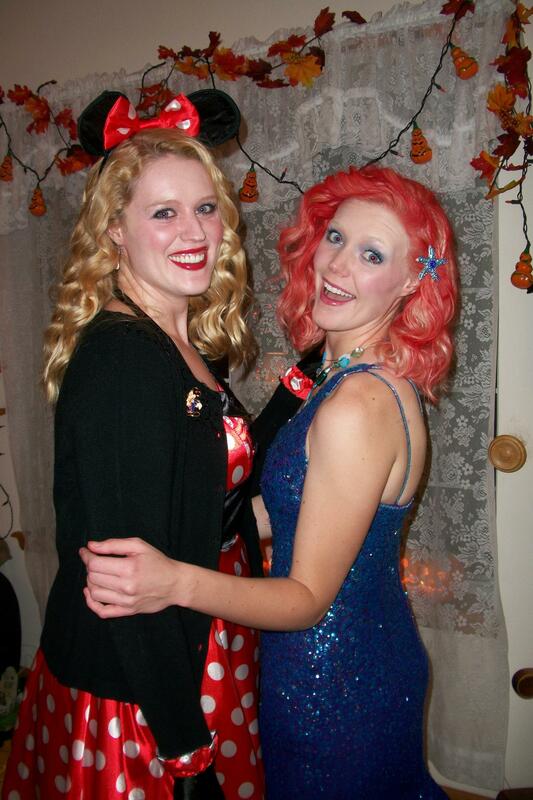 Queen Elsa & Princess Anna! 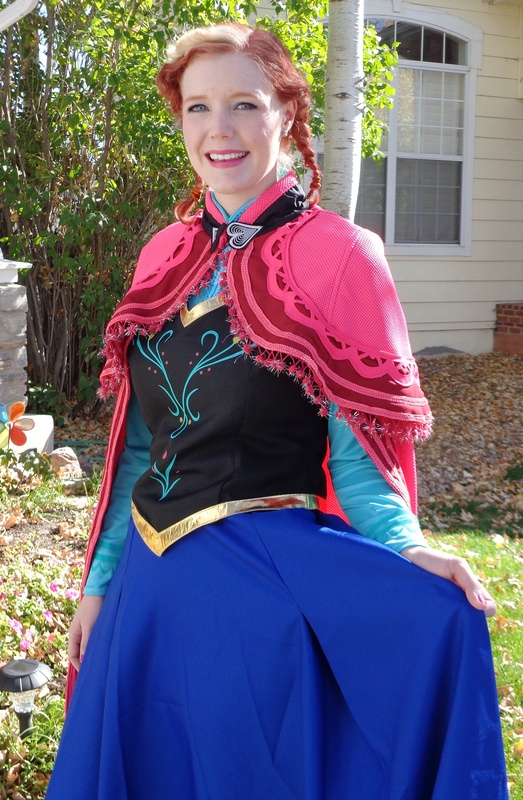 When we saw the ‘Frozen’ movie at Downtown Disney in November 2013, we knew instantly what our costumes were going to be for Halloween in October 2014! 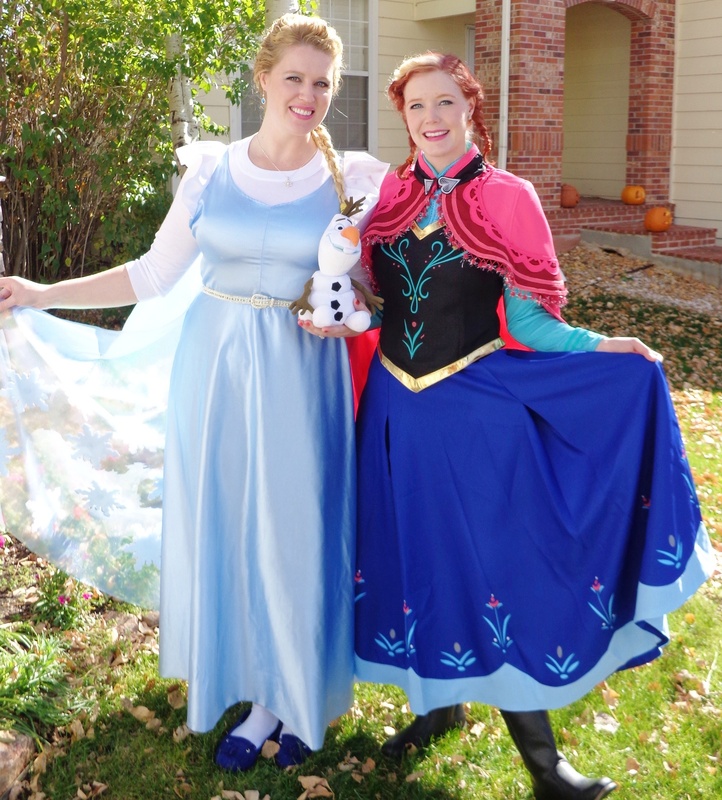 Queen Elsa and Princess Anna, of course! We love that movie!! 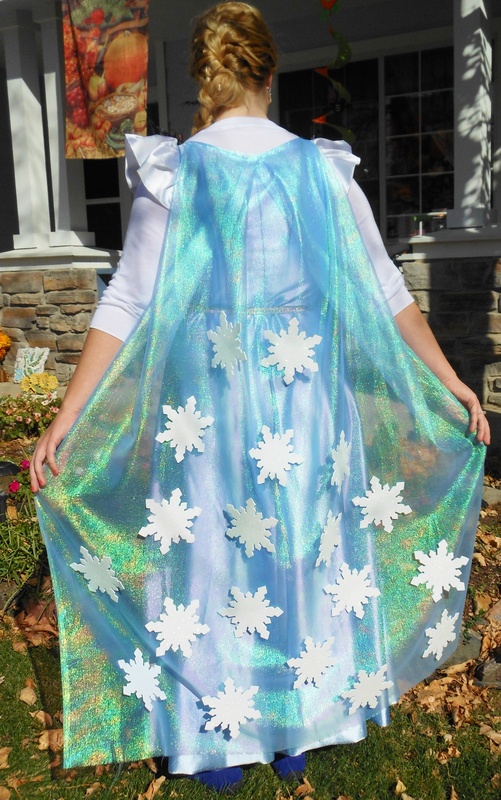 Elly’s Queen Elsa costume that she made. So glittery in the sunlight! 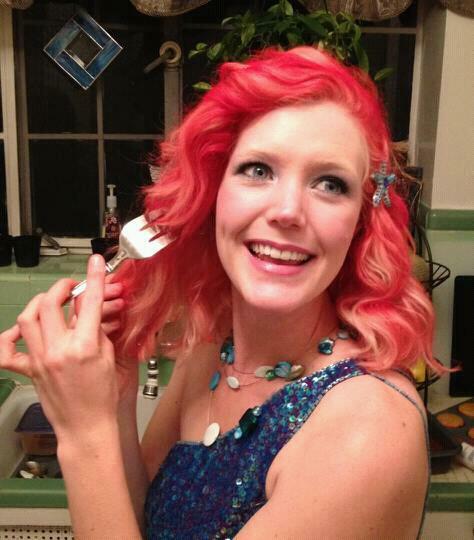 Caroline also had her costume handmade just for her! At our book launch in Boulder, Colorado. Backlot Studio Tours trams being hauled off-site. Generally, the time between Disney announcing that a ride or shop at WDW is closing and the actual closing date is less than two months. If the attraction is very popular or iconic – like Maelstrom – it can be longer, like three months. But, once a ride closes, within 24 hours workers start to dismantle it and within 48 hours, ride pieces start getting moved off-site. Maelstrom’s long boats being hauled away. Such was the case with both Maelstrom and Backlot Studio Tours earlier this month. 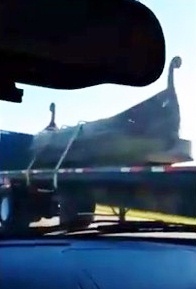 A few weeks ago, a guy driving on the highway near Disney World caught some cool video of the Maelstrom boats leaving WDW! 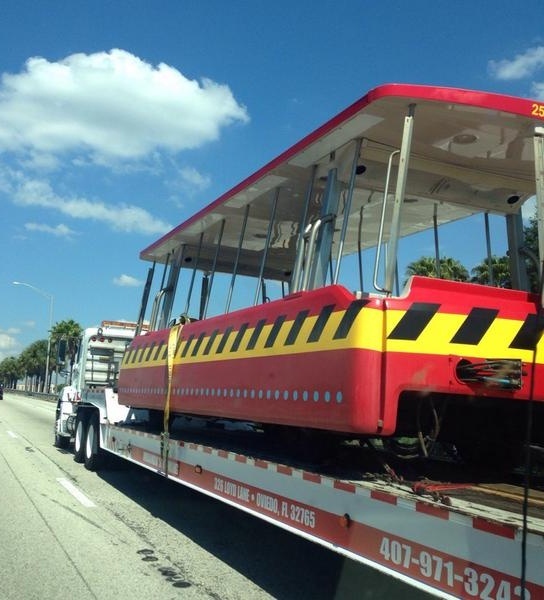 This monorail could have been yours for only $200,000! 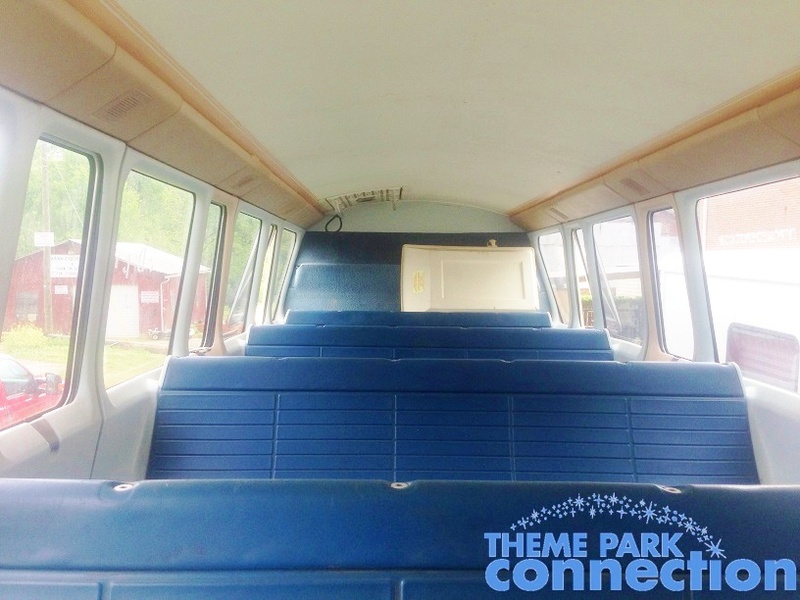 Anyone remember earlier this year when a car from the old WDW monorail ended up on ebay? 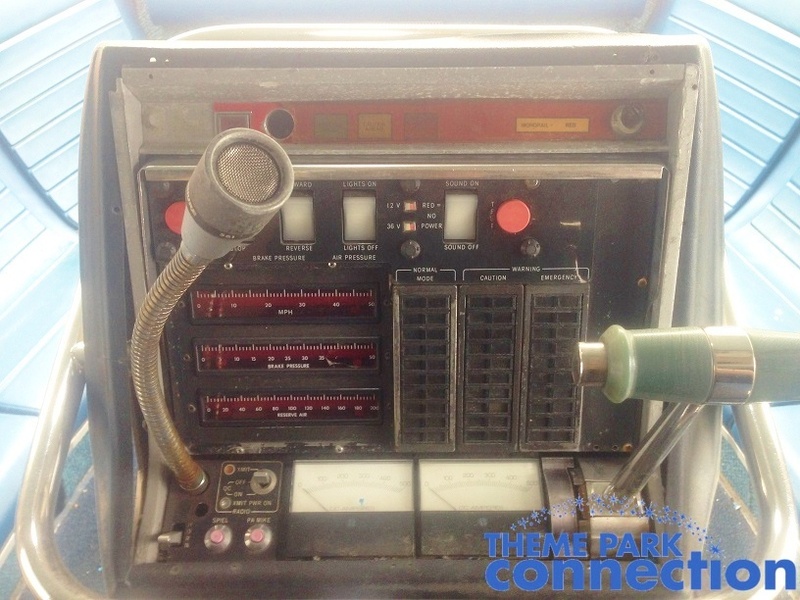 May 7, 2014: Real Disney World Mark IV monorail car for sale! It’s for sale on eBay until roughly 5 PM today (05/07/14) and has 48 offers, the highest being $189,000. 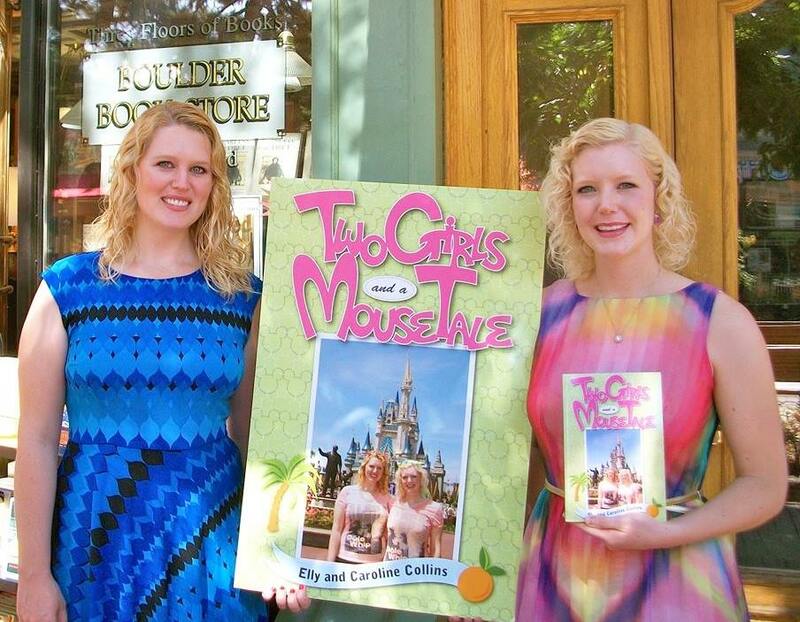 We’ve written a book about our year working at Disney: Two Girls and a Mouse Tale. 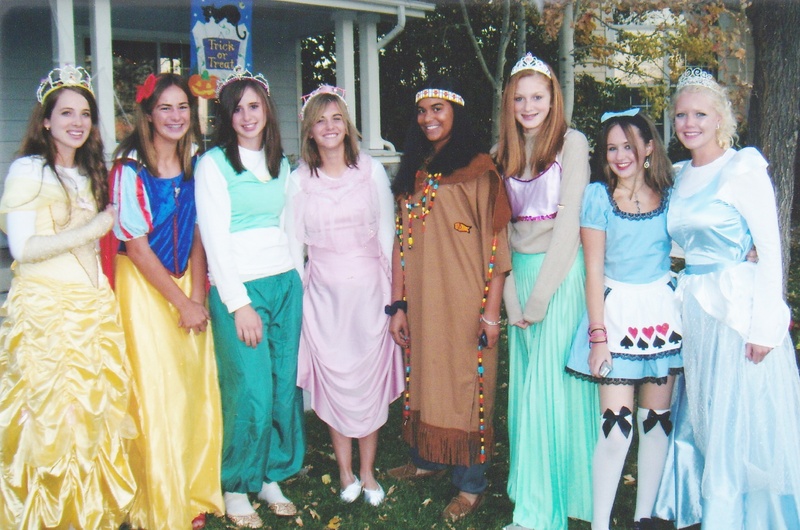 Halloween 2007: With our princes! The well-known – yet much-maligned – sorcerer’s hat at Disney’s Hollywood Studios is coming down next year, in early January 2015. Disney confirmed the giant hat’s impending demise on Friday. The company said it is “reimagining” the area where it stands. Disney would not provide details about what will replace the hat. 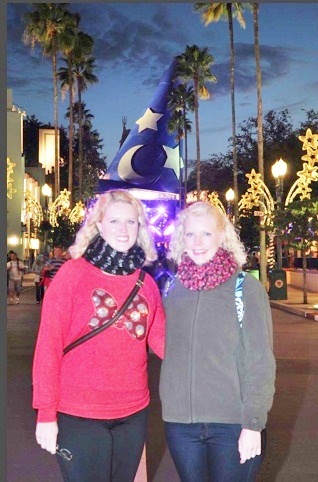 Many changes are coming to Hollywood Studios in 2015. Backlot trams being hauled off-site. Already Disney’s Hollywood Studios said goodbye to its Studio Backlot Tour, one of the theme park’s original attractions. The last day of the attraction was Sept. 27, 2014. Cast Members working at the American Idol Experience at Disney’s Hollywood Studios have been recently told that the attraction will be closing in early January 2015. The close is not that surprising. The show has never really gotten solid traction and it seems Disney is ready to pull the plug. Also, the Indiana Jones Epic Stunt Spectacular is slated to close at the end of the year. All of this is happening to make way for the major Star Wars additions coming to Disney’s Hollywood Studios in 2015. 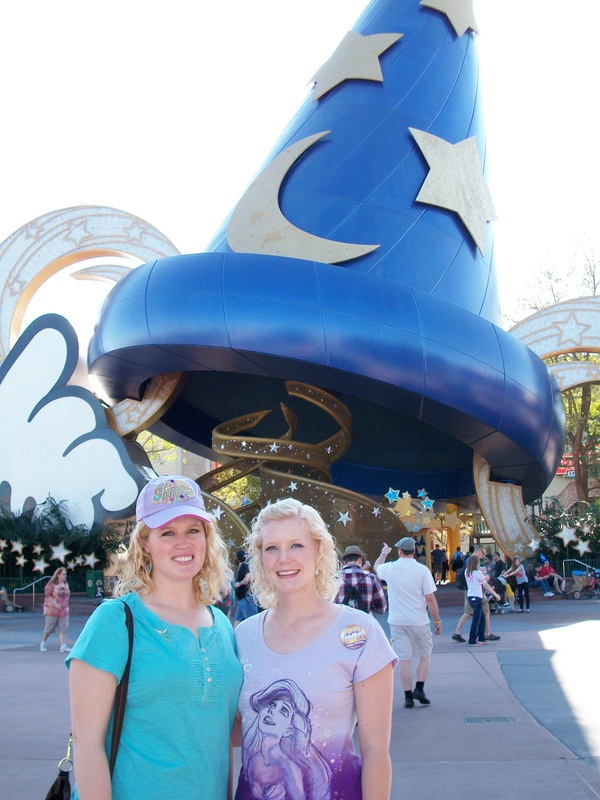 Compared with other theme-park landmarks, the hat mimicking the one Mickey wore in Disney’s “Fantasia” had a short life. Disney installed it in 2001 as a focal point. From the beginning, many people didn’t like it. They complained it blocked the view of the Chinese Theatre and ruined the ambience of the park’s section dedicated to Hollywood’s “golden age” of the 1920s, 30s and 40s. “A 122-foot tall hat at the end of the street just kind of threw off the story that the studio was trying to tell,” said Jim Hill, an industry blogger. “To have it removed, to have Hollywood Boulevard return to its old golden days of Hollywood, well that means a lot to the theme-park community,” he said. 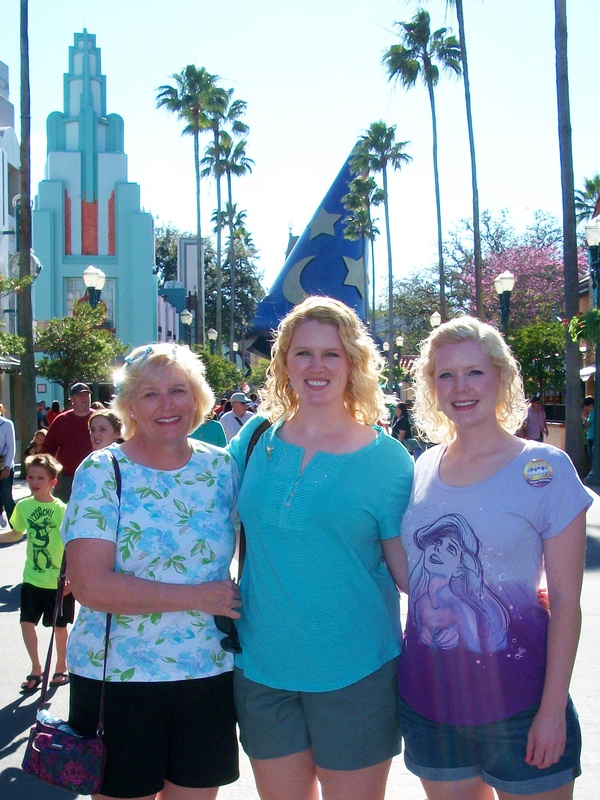 Our mom visiting us during our DCP program, February 2014. We even liked how it looked at night all lit up! We actually liked the hat a lot. 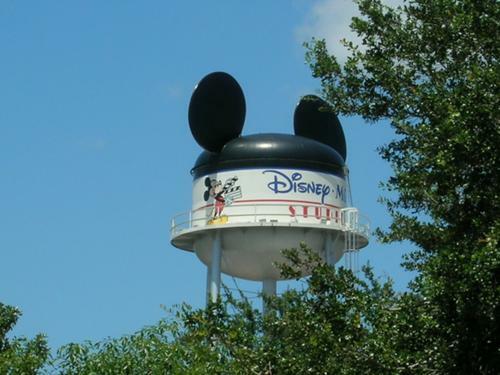 Prior to that, the symbol for Disney’s MGM (the name prior to Hollywood Studios) was the iconic water tower with the mouse ears. We didn’t love that so much and it was at the edge of the property where you couldn’t walk up to it for photo like you could with the hat. The Hollywood Studios water tower. We’re excited to see what the new DHS park symbol will be going forward in 2015. 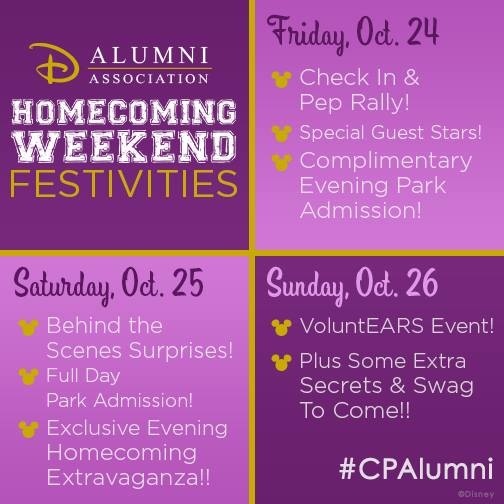 They limited the DCP Alumni event to 400…there are over 7,000 DCP Alumni on the facebook page alone! A lot of people were unhappy to miss it! 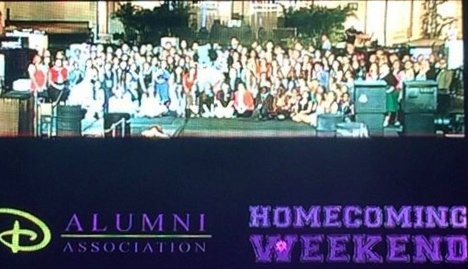 By all accounts, the first ever DCP Alumni reunion of 2014 was a huge success! Mickey Mouse showed up on Saturday night at Hollywood Studios…in a new costume!! 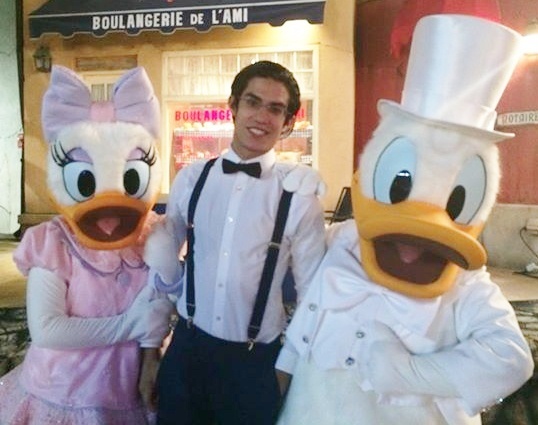 Donald and Daisy were there too! We want to go in 2016! 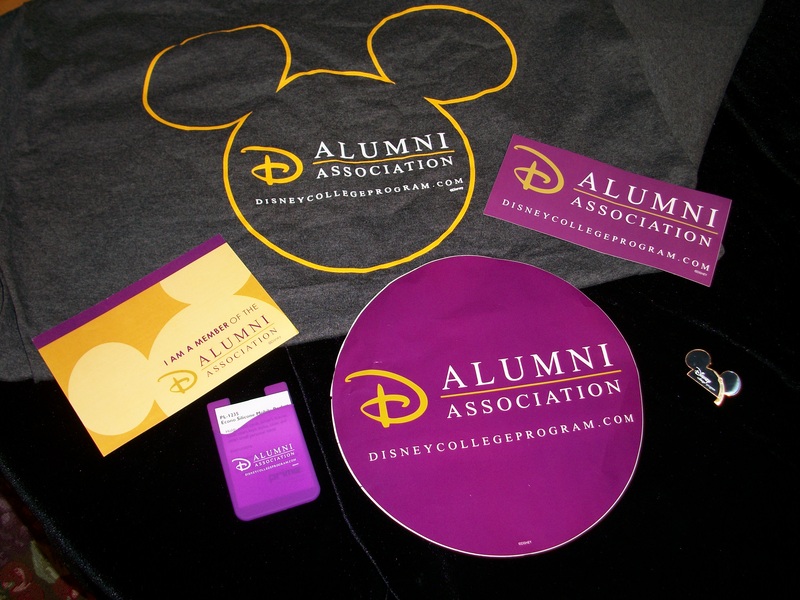 Our DCP Alumni package came two weeks ago! 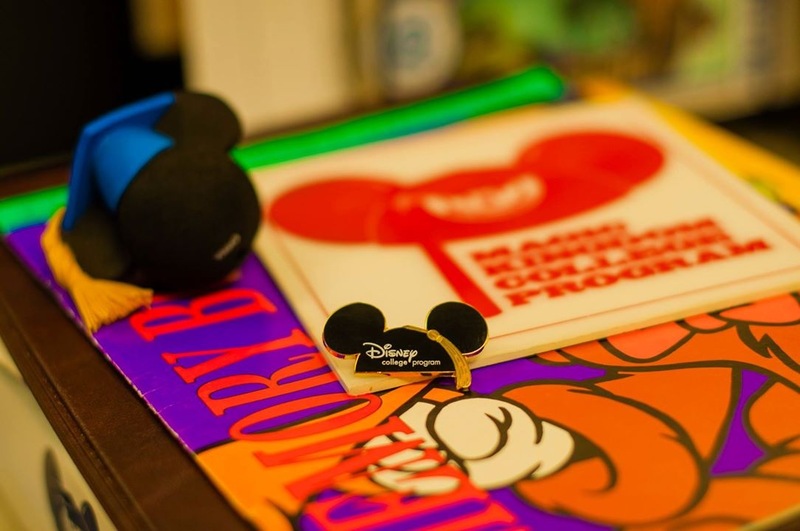 DCP Alumni t-shirt, car decals, stickers & more! Those skull & crossbones are real!!! 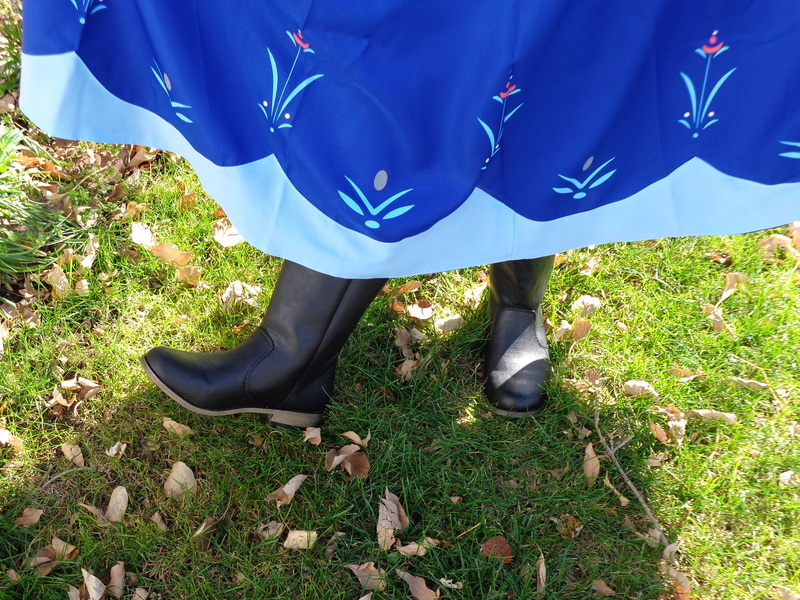 With Halloween being on Friday, we though we would do a creepy, scary blog! For most Disneyland fans, there is a lot of joy in finding hidden secrets about the Park that we all love to visit. 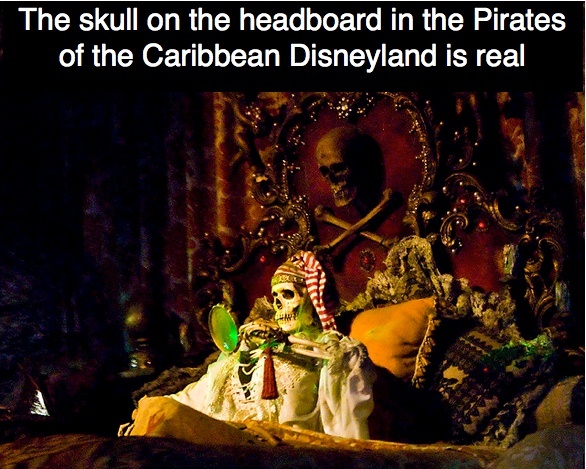 Today, we present to you a very interesting fact about the Pirates of the Caribbean attraction in Disneyland: The skull and the crossbones that sit above the bed in the treasure room of the ride are actually real!! 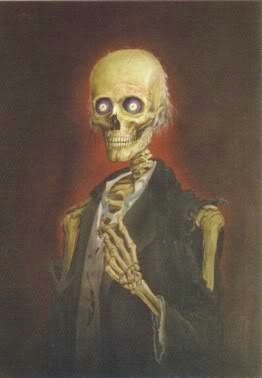 Pirates of the Caribbean definately has the most skulls and bones!! 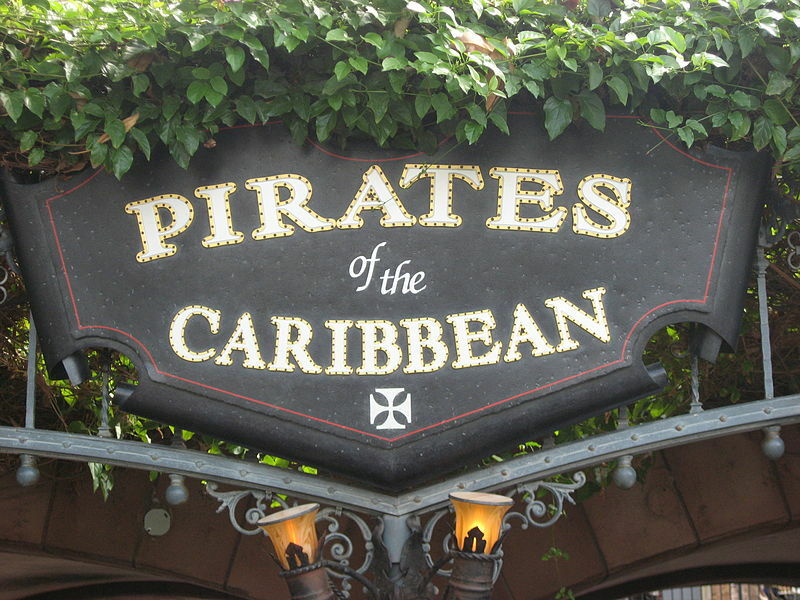 Back in 1967 when Walt Disney had hardly just passed away, the Pirates of the Caribbean first set sail at Disneyland. 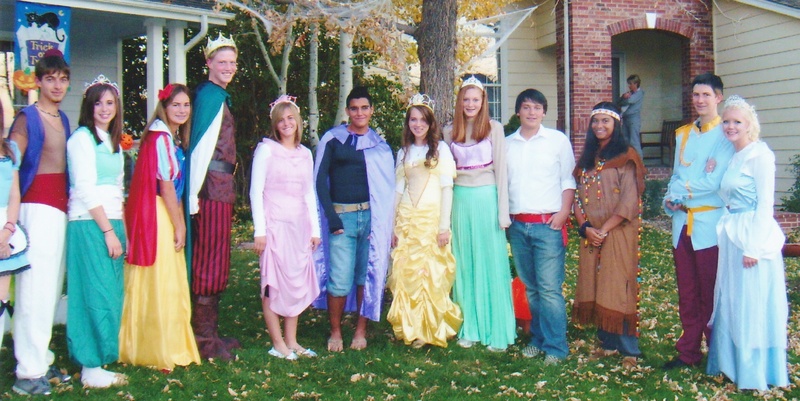 But along with singing pirates and fair maidens, it once held a dark secret. 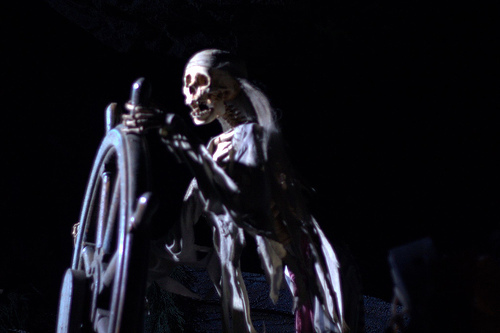 Disney lore has it that while the ride was still under construction, the Disney Imagineers were displeased with the false skeletons placed about the ride. They didn’t think they looked authentic enough. The solution was simple: to use real human bones! The UCLA medical school provided cadaver skeletons to Disneyland from folks who had donated their bodies to “science”, which were then positioned in the classic poses we see today on the ride. There’s a pair of skeleton friends playing chess, one sitting atop a mountain of gold coins, a dead captain with a sabre in his ribs… While it may seem grotesque using real bones, they remained for quite some time. It hasn’t been officially stated exactly when the skeletons were replaced with dummies, but they slowly were swapped out and the remains returned to UCLA during the various ride refurbishments. But, they didn’t remove them all! Although the skeleton in bed looking through a magnifying glass is no longer the remains of a deceased man, the bones on the headboard behind him are! Those are a genuine skull and crossbones and it is not known why Disney chose to leave them there when the others were removed. (Possibly, they came from a different source than UCLA and couldn’t be returned.) If you look closely, you’ll notice that they’re darker and more aged than the rest of the skeletons on the ride. It is the skull and bones of a Caucasian male. Human skeletons were never used when the next Pirates rides were constructed at the Magic Kingdom in Disney World in 1973, or at Tokyo Disneyland in 1983, or at Disneyland Paris in 1992. Captain sailing into a hurricane! We went to Disneyland last year with a first time visitor, and he was like, “What’s with all the skeletons everywhere?” When you think about it, there are skeletons all over Adventureland, all the skeltons in Pirates of the Caribbean, the skeleton in the water that rises when you complete the treasure map, some over in Fantasyland on Peter Pan’s Flight, a dungeon skeleton reaching for water in Snow White’s Scary Adventures, a skeleton hanging in the stretching room of the Haunted Mansion, the pile of animal bones signaling the entry to the pirahna pool in Jungle Cruise, and a dinosaur fossil in Big Thunder Mountain RR. No bones about it, that’s a lot of bones!!! 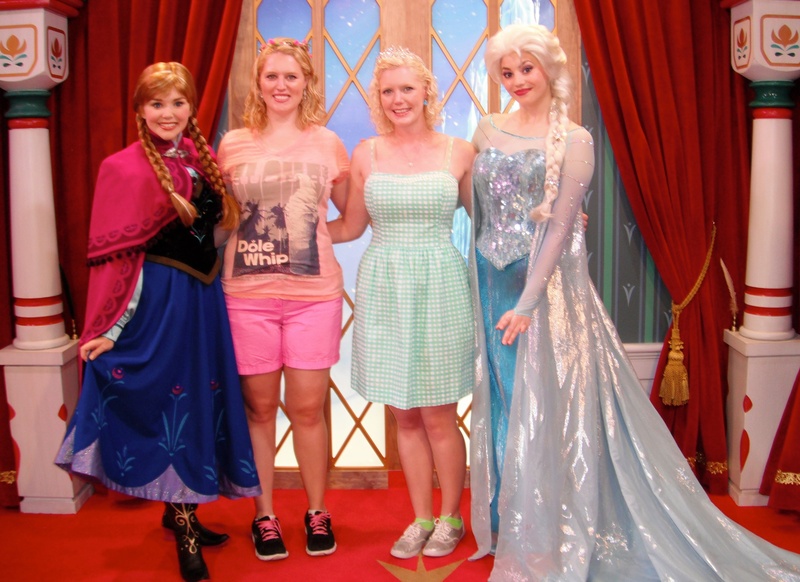 After being extended almost a month, Frozen’s Summer Fun came to a close on Sept. 28th at Hollywood Studios. But, the event was so extremely popular with guests that Disney has extended some parts of the event through to the holiday season. “For the First Time in Forever: A ‘Frozen’ Sing-Along Celebration” is remaining, playing in the Premiere Theater on the Streets of America. 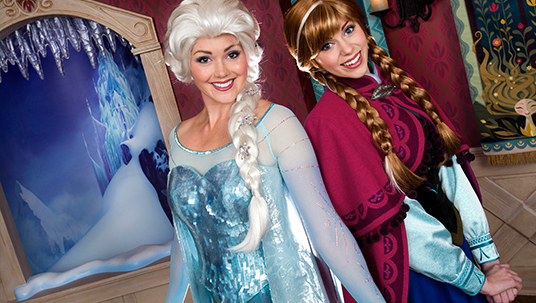 Guests at Disney’s Hollywood Studios can continue singing along to “Frozen” songs with Queen Elsa and Princess Anna. The number of shows vary per day, up to a maximum of 10 shows, playing every ½ hour. There’s some speculation that the show will ultimately move to the now-closed American Idol location, but this has not yet been confirmed. 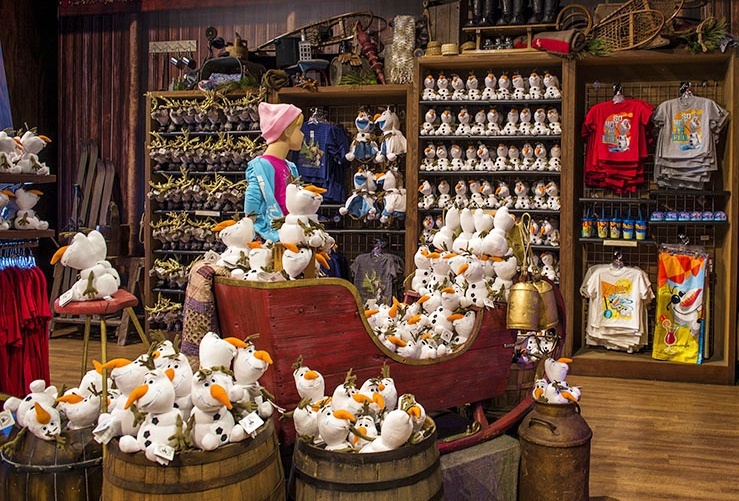 Wandering Oaken’s merchandise location and play area was moved to the former American Film Institute Showcase, located at the exit of the Studio Backlot Tour. It features a larger play area with real snow (in Florida!). So while the ice skating is gone, there’s a real snow playground, and loads of Frozen merchandise is available for the holiday shopping. 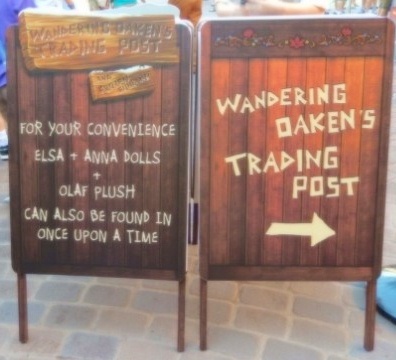 “Frozen’s” popular characters will also have a bigger presence at Magic Kingdom Park this holiday season. 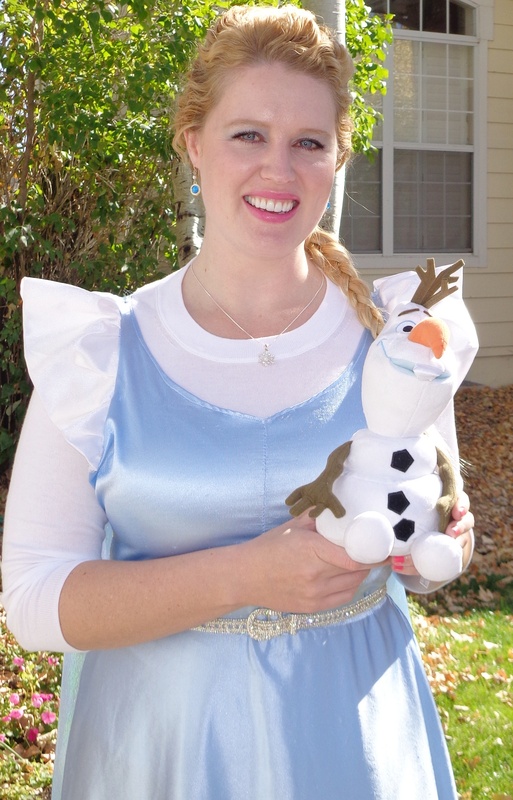 New for 2014: Queen Elsa! 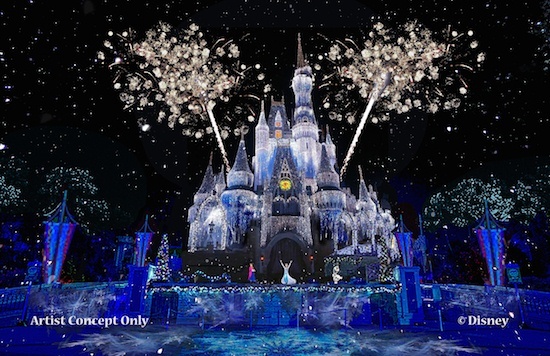 Starting on November 5th, the Snow Queen will be filling Cinderella’s shoes as the new host of the Magic Kingdom’s Castle Dream Lights show. 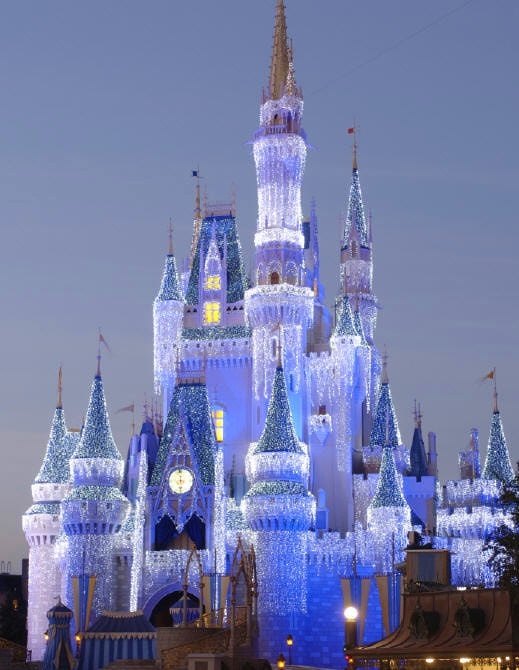 Instead of the Fairy Godmother waving her wand and illuminating Cinderella Castle with over 200,000 holiday lights, it’ll be Queen Elsa using her icy magic to turn the Castle into a winter wonder. The Castle Dream Lights. **Sigh** Just lovely! Mickey’s Very Merry Christmas Party-goers can see Anna, Elsa, Kristoff, and Olaf riding in Mickey’s Once Upon a Christmastime Parade. Lastly, Maelstrom closed earlier this month, and Frozen is indeed coming to Norway in early 2015. A new, yet unnamed attraction will replace Maelstrom and will take guests to Arendelle and immerse them in many of their favorite moments and music from the film. We think these “Frozen” elements are great complements to the Norway Pavilion, which showcases the country and region that inspired the film.